SHAH ALAM: Datuk Dr Tan Kee Kwong became the second Gerakan leader to take up a post with an Opposition-led state government. The Federal Territory Gerakan chief and former Deputy Land and Cooperative Development Minister was named as co-chairman of Selangor's special task force on land issues. Selangor Mentri Besar Tan Sri Khalid Ibrahim said the other co-chairman was former Land and Cooperative Development Ministry secretary-general Prof Datuk Dr Nik Mohd Zain Nik Yusof. The appointment of Dr Tan means he will now be working for the Pakatan Rakyat state government. Last month, Gerakan deputy secretary-general Lee Kah Choon accepted the Penang government's offer to take up the posts of InvestPenang executive chairman and Penang Development Corporation director. Lee later quit Gerakan. Khalid said Dr Tan and Prof Dr Nik Mohd Zain would head a six-member task force that would study the management of land in Selangor and related policies, issues and problems before submitting suggestions for improvement. “We decided to appoint the two men for their vast experience in land management. Dr Tan served as the deputy minister from 1999 to 2004 while Prof Dr Nik Mohd Zain was secretary-general from 1996 to 2002,” he told a press conference after chairing the weekly state executive council meeting here yesterday. 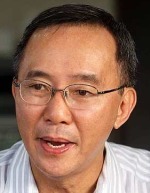 Dr Tan said he would not resign from his Gerakan post after taking up the special task force co-chairman position. He said news of his appointment was announced at 6pm yesterday, adding that no party official had called him to seek clarification over his decision to work with the Pakatan Rakyat state government. Dr Tan said Khalid, whom he has known for more than 20 years, contacted him two weeks ago with the offer to head the committee in an area which was vital but also most lacking in terms of efficiency. “I said yes to the offer because I joined politics to serve the people and country. The post provides me the chance to continue this work while Gerakan feels I have no value in terms of serving the party and the people,” the 61-year-old politician said when contacted last night. He said he also had a lot of respect for the first-time mentri besar as he had highlighted and worked to solve many of the issues that many before him had failed to address. The task force would start work in two weeks, Dr Tan said, as the other members had yet to be picked. It will have three months to submit recommendations to the state government.